Grace Q'nique 15R Midarm Quilting Machine with Q-Zone Hoop Frame $4,298.00 - FREE SHIPPING! This item ships separately from other warehouses. Usually leaves the warehouse in 3-5 business days. When You Need the Right-Sized Quilting Machine for Your Projects! If you’re looking for a bigger quilting machine to make bigger quilts, the Q'nique 15R by Grace sold by Sew Vac Direct might be just the machine you need! 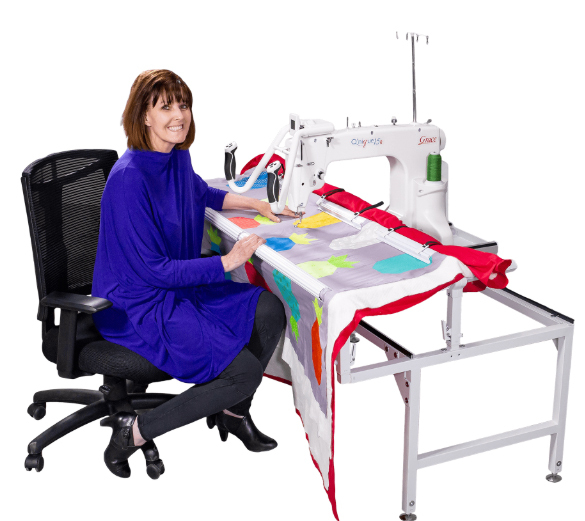 The Q'nique line features mid-arm size machines that are an ideal mid-point between a regular sit-down sewing/quilting machine and a huge longarm machine for massively-sized projects. 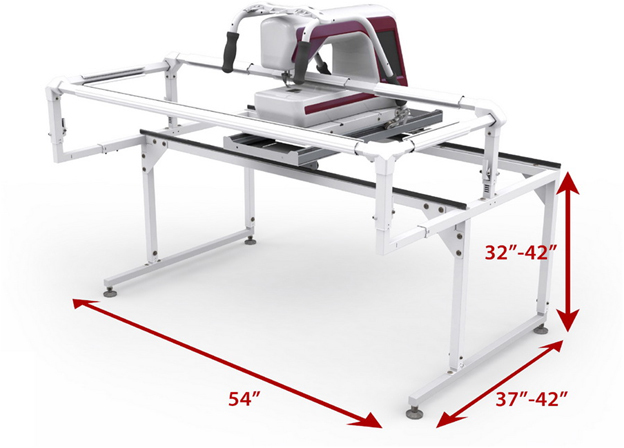 The main unique feature of a Q'nique 15R is its comfortable 15” throat space, which makes it the perfect machine for making both smaller and somewhat larger projects on a standard or compact quilting frame that can be used with most quilting frames, including all Grace frames. In addition to its ideal mid-arm size, the Q'nique 15R from Sew Vac Direct has adjustable comfort-grip handles for easy control of the machine that can be adjusted down into a micro-handle position for added control when stitching fine details. 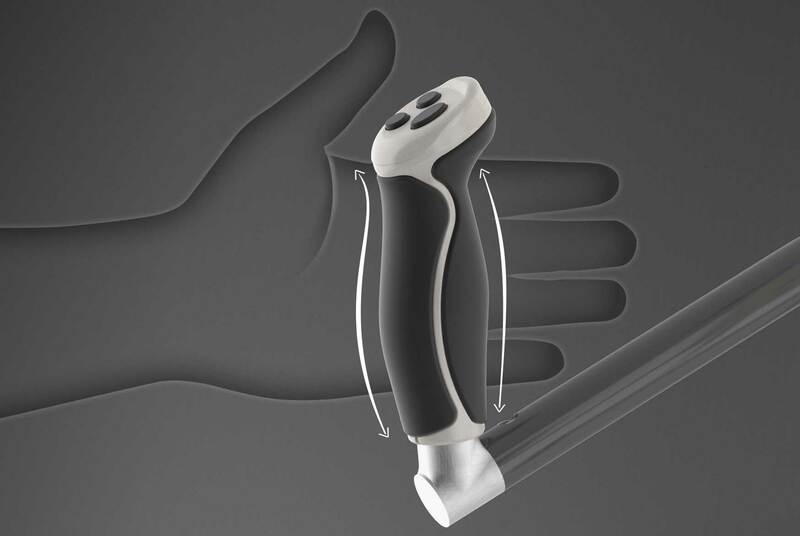 There are 3 quick-control buttons on each of the handles to give you seamless control of stitch speed, stitch regulation, and other essential controls without removing your hands. Stitching at up to 1800 SPM, the Q'nique 15R from Sew Vac Direct has a built-in stitch regulator to keep stitch length uniform as the needle moves, a positionable hopping foot, and a built-in bobbin winder for quick bobbin loading. There is an LED needle light to illuminate the stitching area and a full-color OLED between the handlebars for easy function control. This machine can also be automated with the addition of Quilter’s Creative Touch software, sold separately! The wonderful Q'nique 15R Midarm by Grace that is available at Sew Vac Direct is the ideal quilting machine for anyone looking for a machine with all the essential features of professional machines in an easy-to-work-with size. 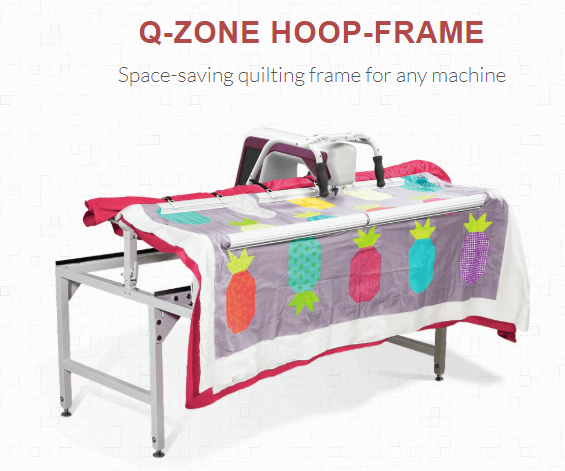 With its economical price tag, you can get into longarm-style quilting in a snap with a fun Q'nique machine! Q'nique quilting machines are covered by Sew Vac Direct for the original owner with a 1-year limited electrical parts warranty, 2 years on mechanical parts, and 5 years on the cast body. The Grace Q'nique 15R From Sew Vac Direct - A Full-Sized Longarm In A Right-Sized Package! Q'nique quilting machines are covered for the original owner with a 1-year limited electrical parts warranty, 2 years on mechanical parts, and 5 years on the cast body. 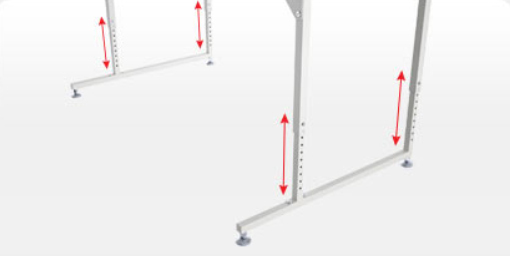 Adjust the working area of your quilting frame to give you the ideal comfortable reach. You can make it shorter for home sewing machines, or longer for midarm machines. 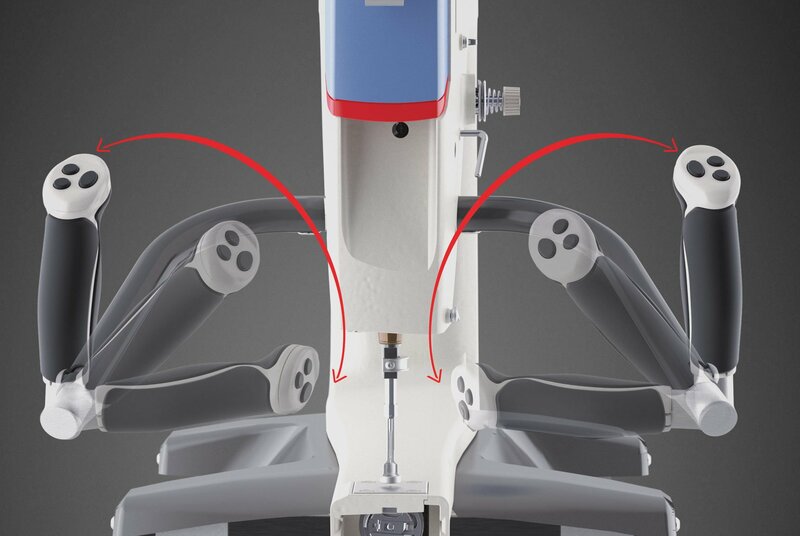 The frame is compatible with machines with up to a 19-inch throat.